Kurt N. Woeller, D.O. has been an integrative and functional medicine physician and a biomedical autism specialist for over two decades. He is an author, lecturer and clinical practitioner offering specialized diagnostic testing and health interventions for individuals with complex medical conditions such as autism, autoimmune conditions, gastrointestinal and neurological disorders. 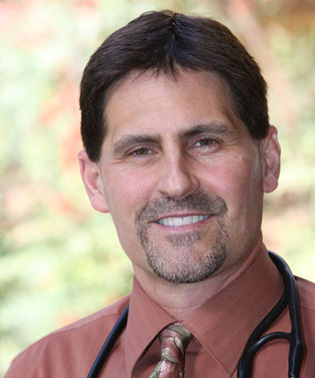 Dr. Woeller is a graduate of New England College of Osteopathic Medicine in Biddeford, Maine. Dr. Woeller is also an international lecturer and educator and has developed several educational programs for health practitioners through Integrative Medicine Academy, an online resource for courses in integrative and functional medicine. In an effort to provide comprehensive information on biomedical therapies for autism, Dr. Woeller developed Autism Recovery System, an online resource for parents of autism-spectrum individuals. Dr. Woeller has lectured internationally and in the United States on the subject of autism and biomedical therapies. He developed the the One-Day OAT Intensive for GPL Academy, the educational branch of Great Plains Laboratory to educate clinicians on the interpretation and implementation of the Organic Acid Test. He is also regular lecturer at the annual Integrative Medicine for Mental Health conference providing integrative and alternative options supporting mental health. Dr. Woeller serves as a clinical consultant for both BioHealth Laboratory and Great Plains Laboratory providing patient and physician education regarding functional and integrative medicine through one-on-one training and monthly webinars. Monthly webinars through Great Plains Laboratory are available to the public. Dr. Woeller also provides lab reviews through Lab Tests Plus, a direct-to-the-public laboratory service for various Functional Medicine tests. Dr. Woeller is also the author of several e-books which are available on his personal website. Please see below.